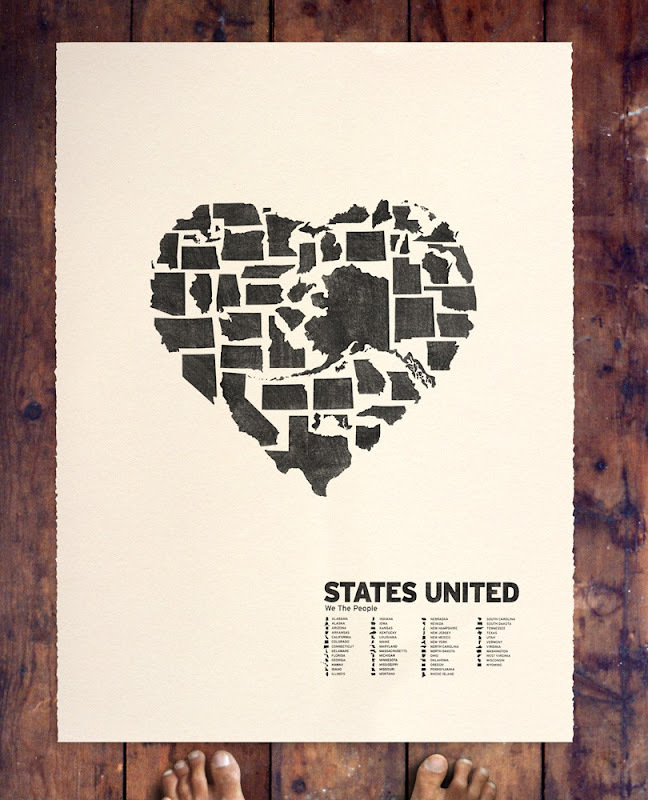 The heartland portrayed here is a very literal one, composed by cleverly arranging all 50 US states to have their oblique sides help form the outline of a giant heart. Texas’ pointy southern extremity represents the bottom part of the iconic heart-shape, while the slightly wedge-shaped top of Michigan’s Upper Peninsula is very aptly chosen as the place where the tops of both heart halves merge. All in all, this picture is a very nice fit – considering that all states are drawn to the same scale.